In Portuguese, "saudade" is a profound emotional state often described as the love that remains after someone has gone. It's this feeling that Chilean producer Valentina Montalvo Alé a.k.a. Valesuchi, taps into with her evocative productions. Her dark, smoky dancefloor detonators brim with love, desire, machines and danger, and they yearn for a time when club music was raw and indebted to the rhythm. She describes one of her tunes as what a "heartbroken Dam-Funk driving into a sunset" might sound like, while others owe more to Belgian EBM, Omar-S's deep Detroit house and cumbia. After years of being booked at indie rock clubs, she's found an affinity with Matias Aguayo's Cómeme camp, who share Valesuchi's vision of a pan-tropical, proto-disco future. Outside of DJing, Valesuchi has worked in film post production and creating music videos for Chilean electronic label Discos Pegaos. 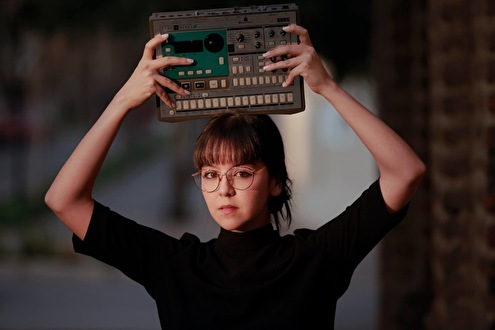 Since 2014, year in which she was part of the Red Bull Music Academy held in Tokyo, she's been playing in many important stages such as Sónar Festival 2015 in their Barcelona, Sao Paulo and Santiago editions, Primavera Fauna Festival and as an active member of Santiago's underground electronic scene. She's currently working on a new EP and on remixes to be released in 2018.